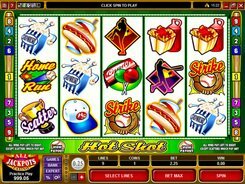 Hot Shot is a non-progressive baseball-themed Microgaming’s slot with five reels and nine paylines. 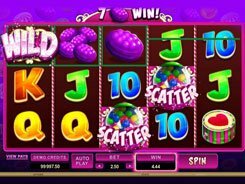 Having the most basic features such as wilds and scatters, the slot is easy and fun to play. There are two configurable bet settings available before a spin: a coin value ($0.25–$10), and the number of paylines to bet on. From that, your total bet per spin lies in the range of $0.25 through $90. Along with sport-themed icons (a ball cap, a trophy, etc. 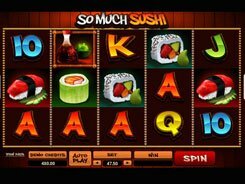 ), the slot utilizes some of quickly served food symbols (a sandwich, popcorn, etc.). 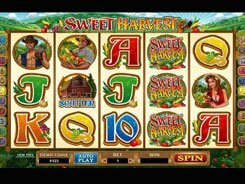 Overall, the top award you can expect playing the slot amounts to your bet times x1000. 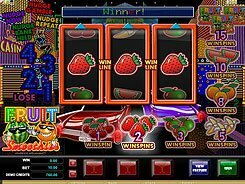 A wild performs its traditional substitution function without paying on its own, whilst a scatter pays out x10 to x100 times a total bet if three or more appear anywhere on the reels, yet no free spins are offered. 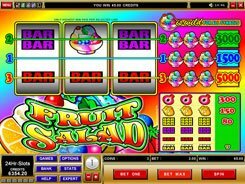 In conclusion, Hot Shot is a quite simple five-reel slot with flexible bet sizes and basic features like wilds and scatters.